Uganda and Thailand both have memories to treasure from the ICC Women's World T20 Qualifier, and they will be hoping to take one more home with them from the fifth-place play-off. 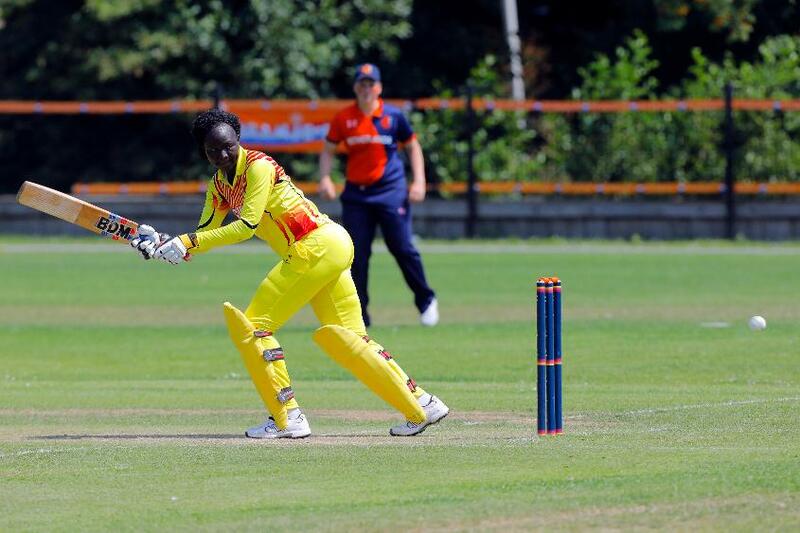 Uganda overcame tournament hosts the Netherlands in their play-off semi-final, winning by six wickets to claim a second victory of the tournament – their first coming against Thailand in the group stage. The Thais, meanwhile, will be hoping to finish the competition with back-to-back wins, having beaten United Arab Emirates by seven wickets in the second play-off semi-final. It was a deserved win for Thailand who have impressed in the field throughout the competition but struggled with the bat. Their bowlers performed strongly once again versus the UAE, bowling them out for 50 and then reaching their target with 4.3 overs to spare. These two sides played out an exciting match in Group B, Uganda restricting Thailand to 67/9 and then stuttering to a four-wicket win with 11 balls to spare. Given the bowling strengths of both teams, another low-scoring encounter which goes right to the wire would not come as a surprise. Getrude Candiru (Uganda): The 23-year-old tops Uganda's batting averages, having scored 69 runs at 34.50, with a high score of 43* coming in the win over the Netherlands. It was the highest score managed by a Ugandan so far in the tournament and their No.3 will be looking to top it against Thailand. Suleeporn Laomi (Thailand): Laomi has impressed with her leg-spin throughout the competition and took 3/17 in Thailand's previous match against Uganda. She was also a key component in the win over the Netherlands, returning the excellent figures of 2/10 from her four overs.